How does a drift away from the “everyday life” sound? We've brought the Italian “town along the hillside” motif to Kawasaki. 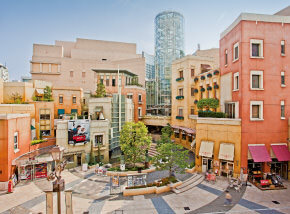 LA CITTADELLA presents the grandest cineplex in the greater Tokyo metropolitan area- CINECITTA’. 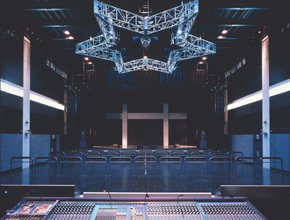 Plus a massive concert hall called CLUB CITTA’ which is surrounded by a host of shops & restaurants, aesthetics and relaxation, and even wedding function space and facilities are all packed into this pleasurable village where “the boring” is taboo. People who know how to relax, and hang out will visit LA CITTADELLA --- Stroll through our colorful array of shops and along cobblestone alleys: all of the romantic European ambiance you could ever dream of. Boasting 12 screens and 3,208 seats this is by far the grandest cineplex in the greater Tokyo metropolitan area. Ranging from blockbusters to independent film, we show it all. At Maggiore's center stage, take in a thrilling fountain performance fused with live music. Various artists featured at weekends. A label based on the traditional and innovative, generating works of aesthetic harmony. Each piece is distinguished in its own being, handcrafted with an artisan's discretion --- both dynamic and subtle at the same time. Pamper yourself at this one of its kind bookstore. CDs and books are the obvious, magazines, toys, candy, t-shirts, clocks and many others. Our shelves are lined wall to wall with odds and ends for the pushover in all of us. CURAS is a creative shared studio for people who want to enjoy creating their own set, expressing themselves and taking elaborately staged shots.Other than the wall decorations, decorations hanging from the ceiling and shooting booths that allow use of water, outdoor shooting is also posibble at few places at LA CITTADELLA, a reminiscent of Italian town.Both models and photographers can enjoy it together. Try our beautiful Kimono and explore the city! The authentic kimono dressing and hair arrangement will be included! Healthy and oh, so good! Ginza Toujuro is Japan's #1 for chicken lovers. Featuring plump, juicy and tender premium grade game hens, nicknamed the “dream bird”. This Japanese restaurant's concept is Japanese sake culture with food and local sake from four prefectures: Niigata, Toyama, Ishikawa, and Fukui. At this Kawasaki LA CITTADELLA restaurant, you can relish the great combination of Japanese sake and food, with a menu specializing in fermented dishes. all-inclusive, this mammoth-scale night club is capable of handling a standing room crowd of 1,300 people, and is equipped with cutting edge lighting and sound systems.